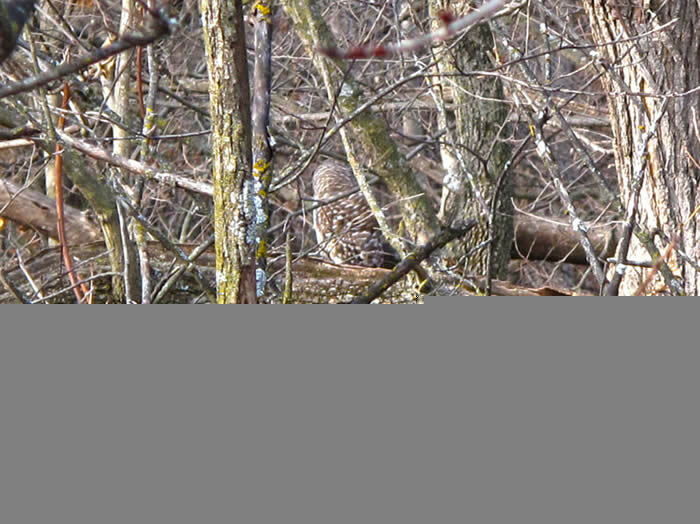 Gallery4.5 - Bubbles, Bees, Lied Lodge Trail, Niobrara State Park Eagle, an Owl, a Black Squirrel and Prairie Fire! Bubbles are something kids and parents love. A bubble lover might learn how to make giant bubbles and thrill the fam with some high floating, very large orbs. Reflections of our world broadcast from bubbles as they move, undulating with the atmosphere, our hearts aglow. Bubble baths are a child's delight. On this day we saw lots of delight. 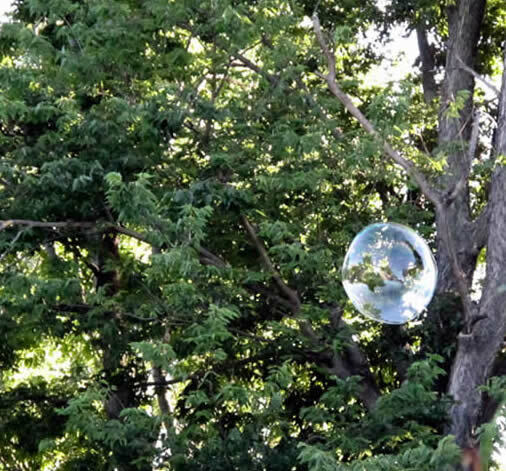 Here in Nebraska the long summer days lend them-selves to a bubble parade in some backyard, in some yaybor hood, at magic times. A walk in the Lied Lodge Woods in Autumn. Serene, quiet, and crunchy, earthen colors compliment a cloudy blue sky. In Nebraska, our Luck is often the weather. We love this place, remote and homey. The walks are inspiring and the air is fresh and clean. Nebraska has great energy don't you think? 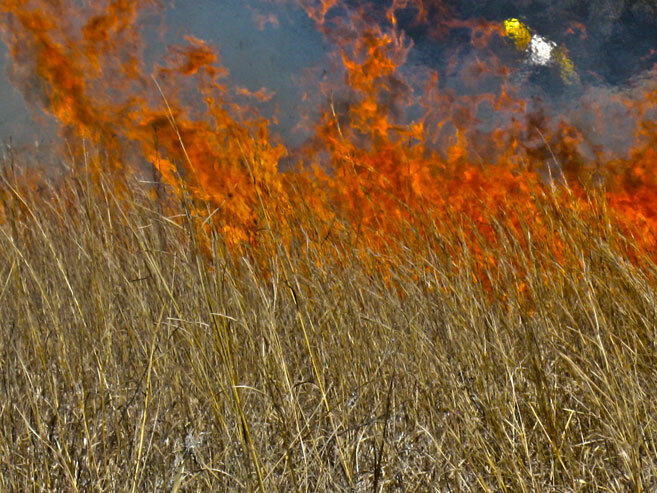 Controlled burn on the Prairie. In the Great Plains, this Human activity is born of desire to manage the wide open spaces.There in the background you see a flash of yellow and white. That's Tom Bouse minding his fire-tending duties at Spring Creek Prairie. can you see the man in his yellow helmet? 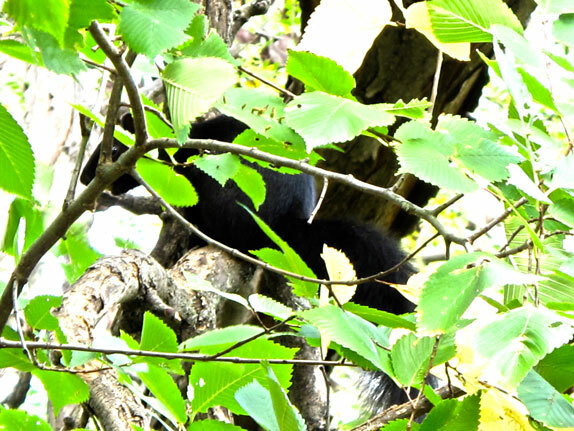 If you look closely you will see a black squirrel behind the green tree leaves. This photograph was taken on the Mopac trail, 'dike flats' just after the famous 48th street bridge. Lots of small critters live along the Mopac trail. One nice Autumn day there were several small garter snakes warming up on the sidewalk.Clucking down Chicken Run, cooing while going up the Double Dare, other interesing events happen all the time all along the trail. 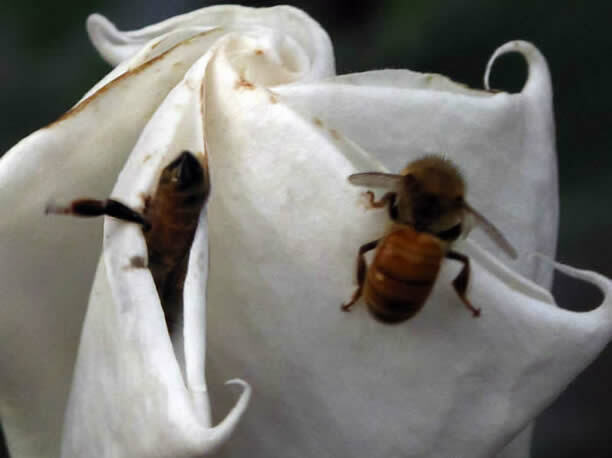 Moon flowers provide intoxicating pollen for our yayborhood bees to collect and spread. These flowers are want to wait until after dark; the bees have other ideas, so enthusiastic they literally force open the blooms. The Owl. Stealth in sound and vision the predator waits for opportunity. Silently swooping down on its hapless prey, or silent in flight from witnesses. While we stayed we walked, during the day and also at night. 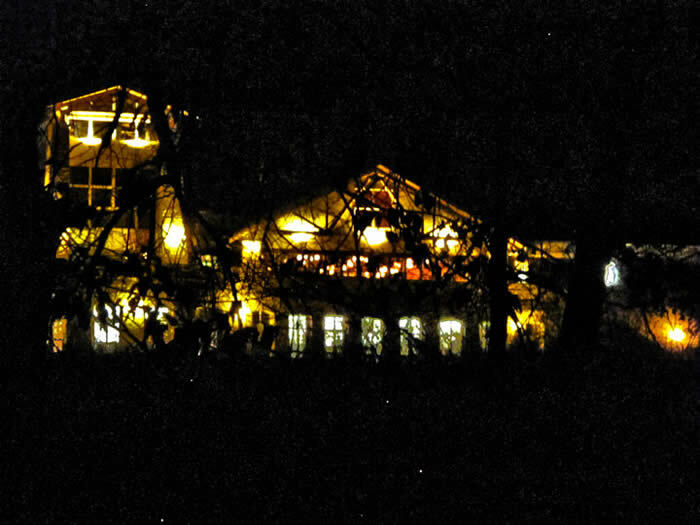 The Lied Lodge has dimmed lighting along the paved trail through the woods. 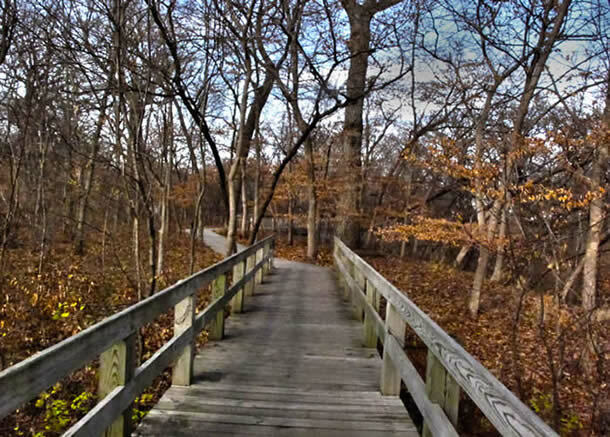 Small lights illuminate the trail mostly, providing for a safe walking experience at night. After our evening festivities we took advantage of the mild weather and ventured out onto the trail. At the end of the first bridge i propped the camera on the rail and got this shot. At night without a tripod it's not easy to hold the camera still enough. The rail allowed the shot to not be blurred. If you look closely you can see the shape of leaves, the Lodge envisaged through the trees.